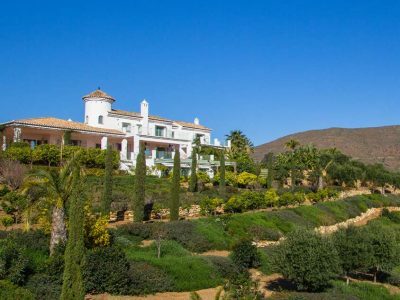 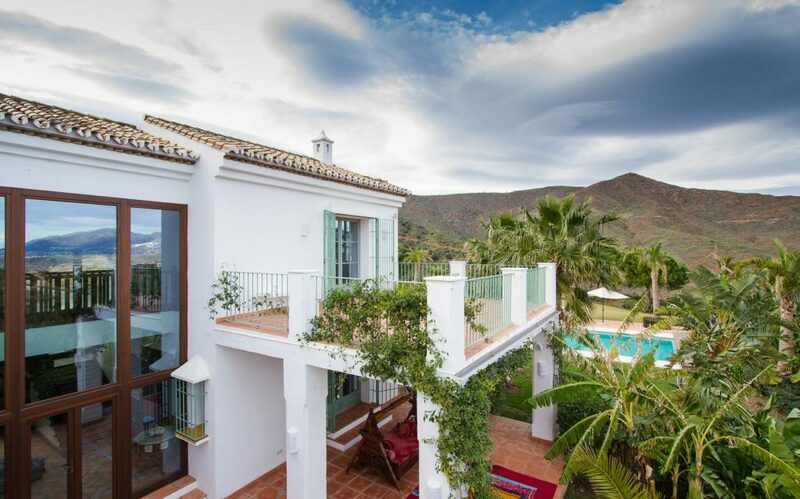 Villa Flandes is a beautifully built and renovated property, boasting spectacular 360 degree mountain and sea views. 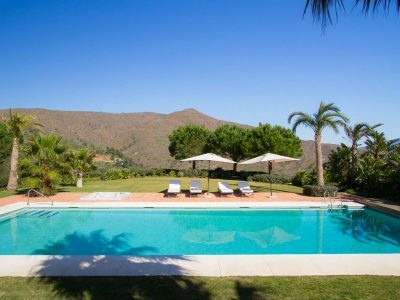 Located in a quiet countryside enclave, at just a 15 minute drive to all types of amenities and services and the best beaches in Marbella. 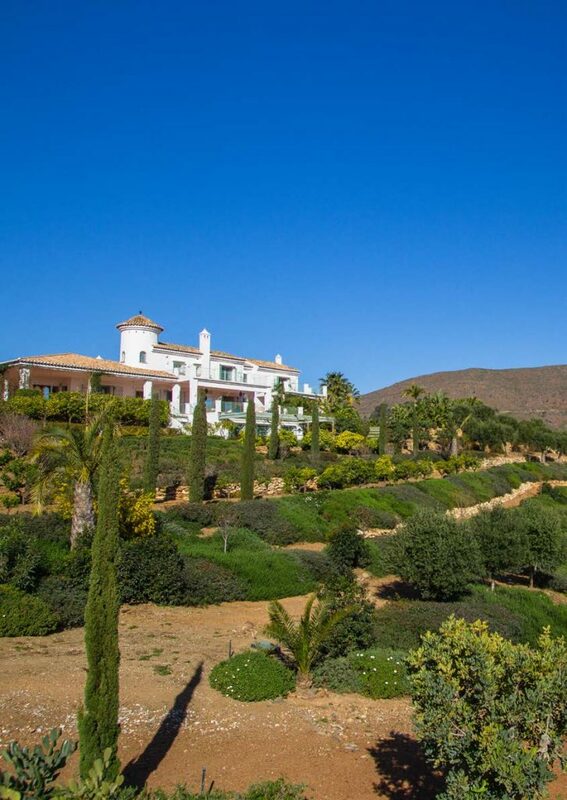 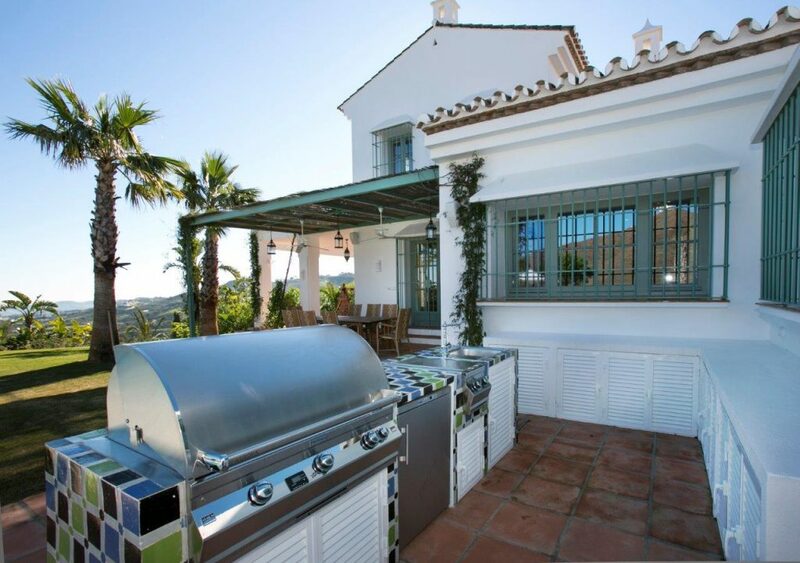 It is a 20 – 25 minute drive to Marbella and Puerto Banus. 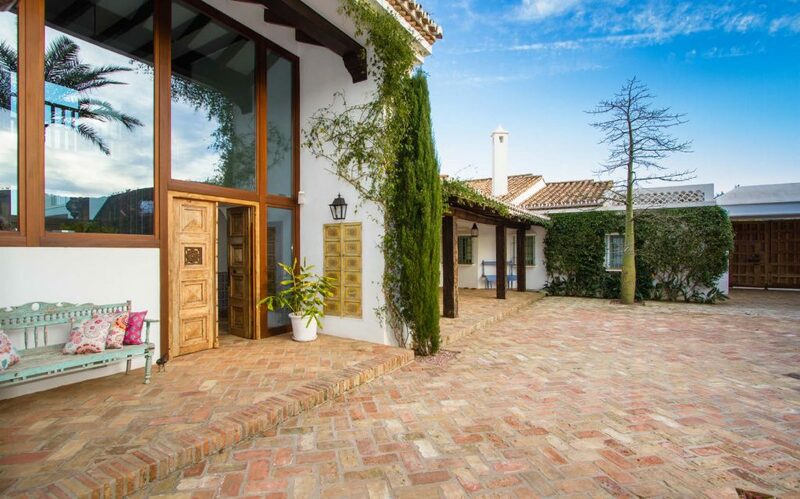 An external courtyard leads through to an impressively large floor to ceiling glass entrance lobby. 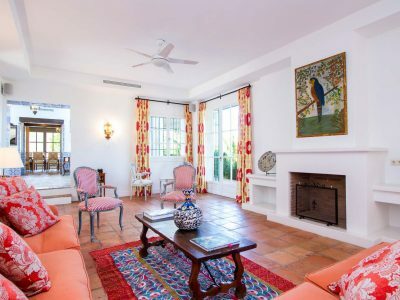 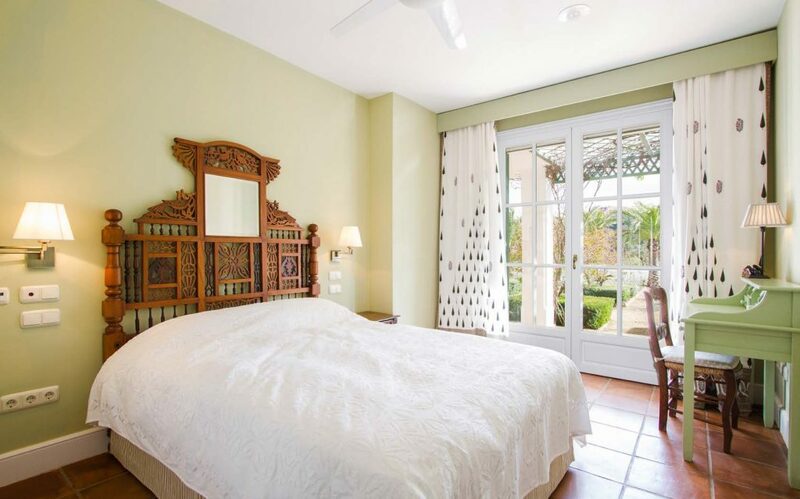 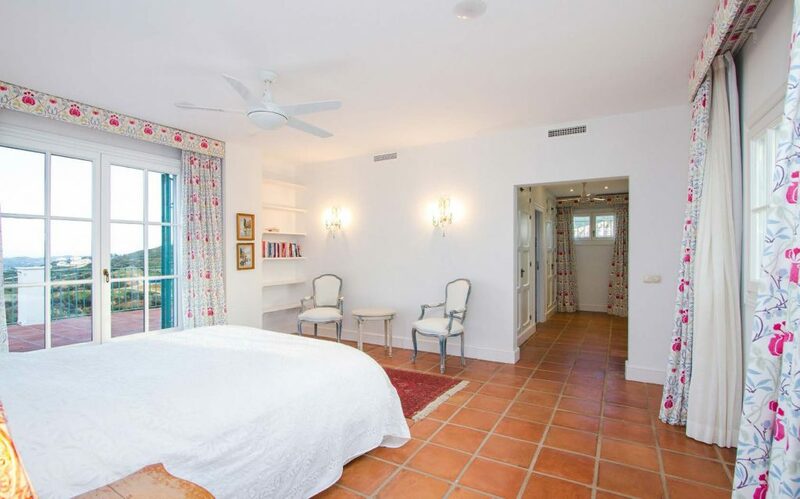 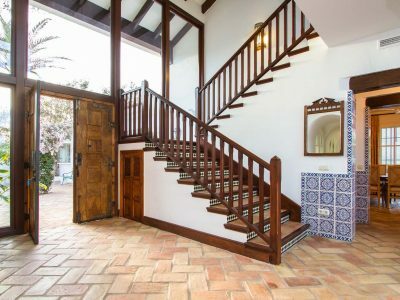 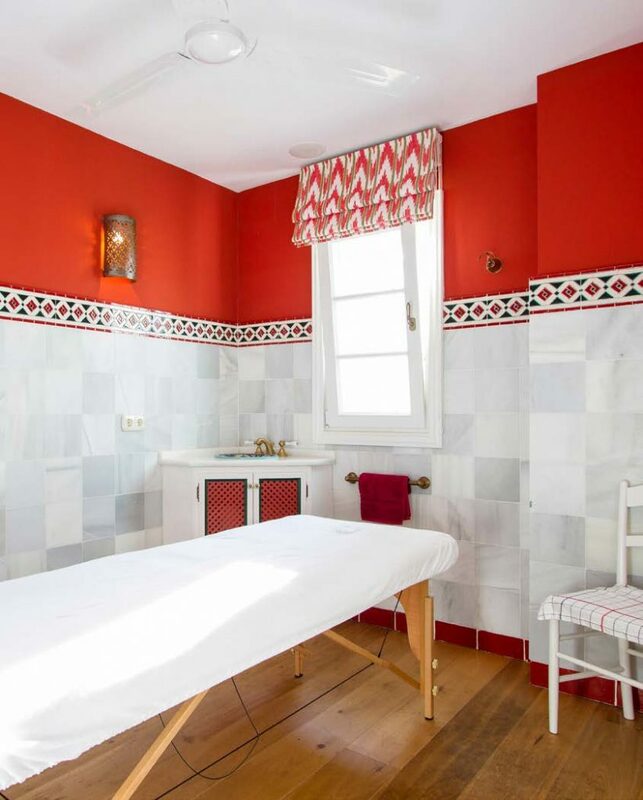 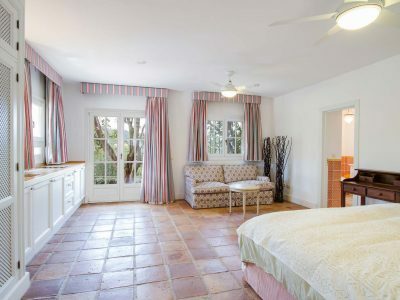 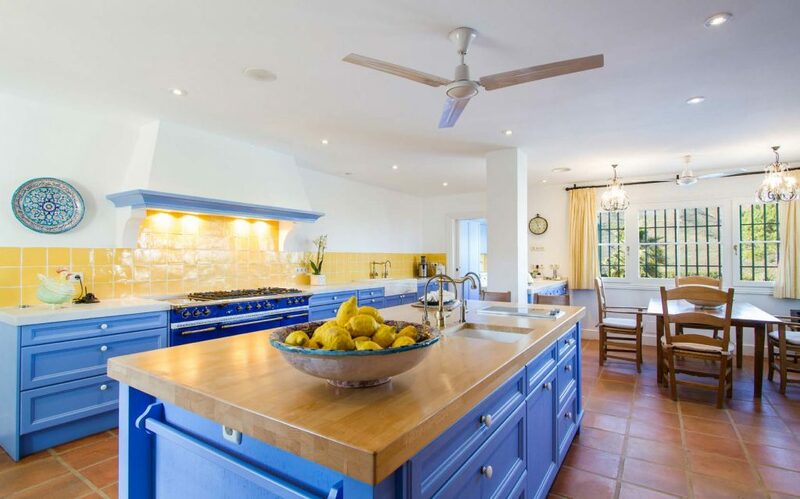 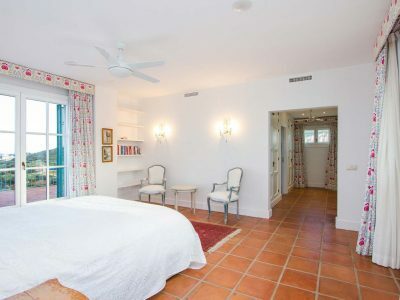 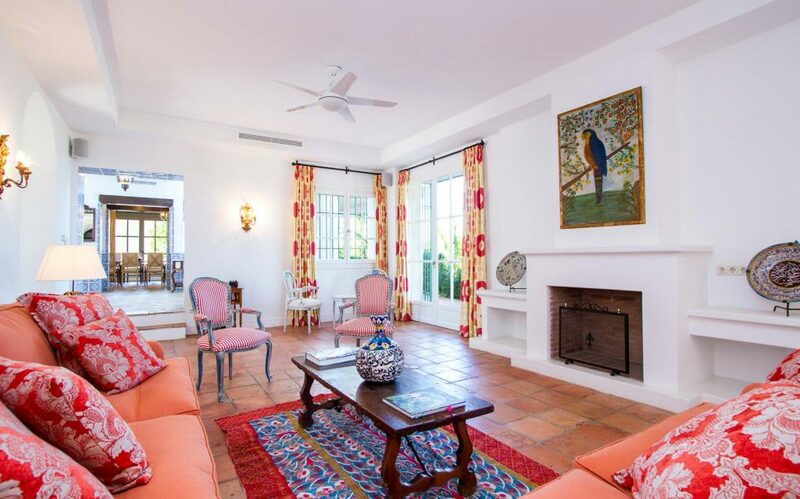 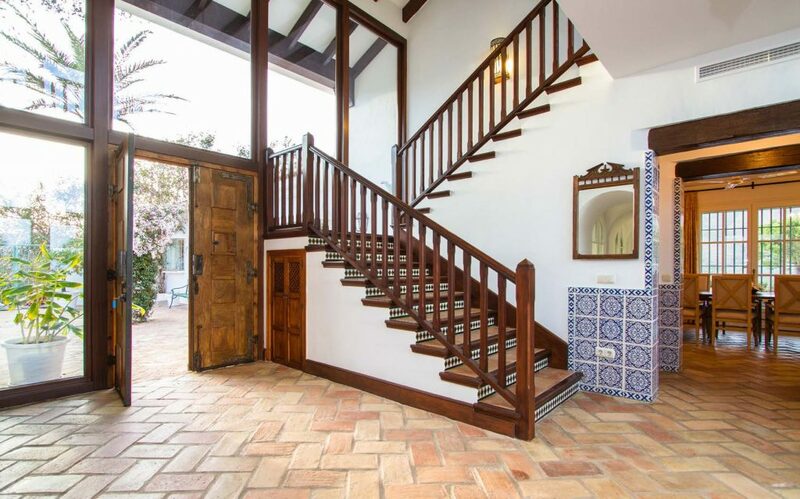 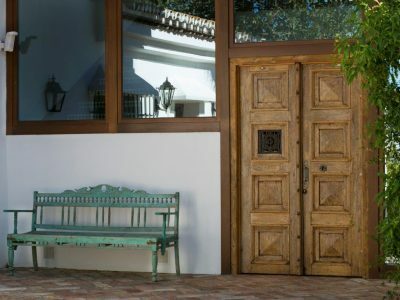 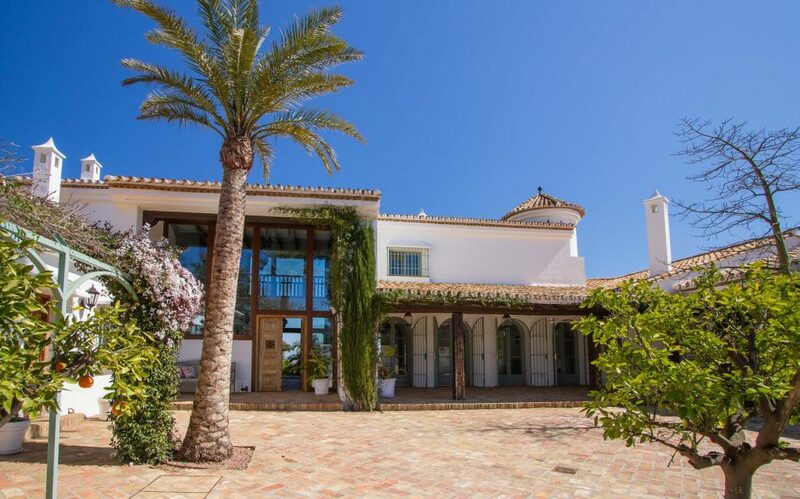 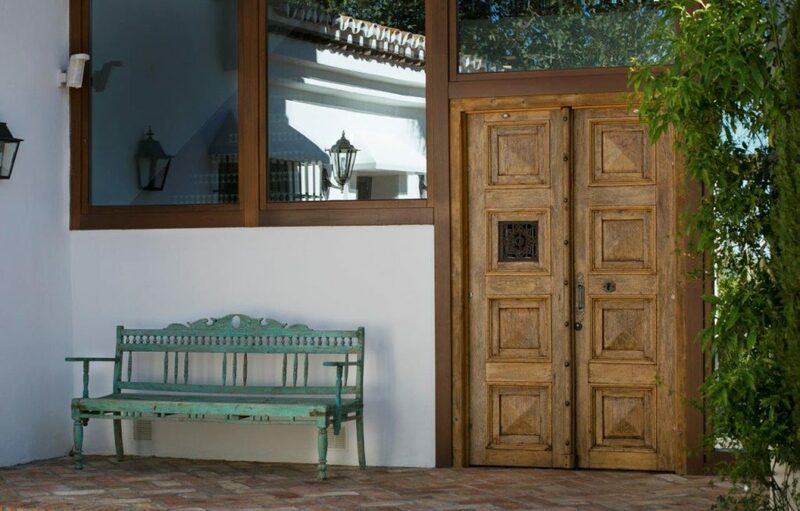 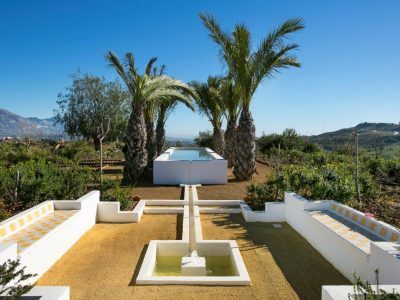 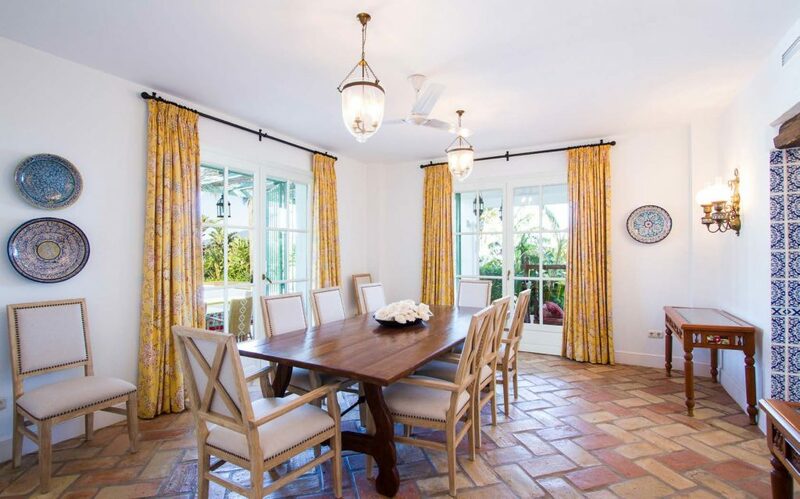 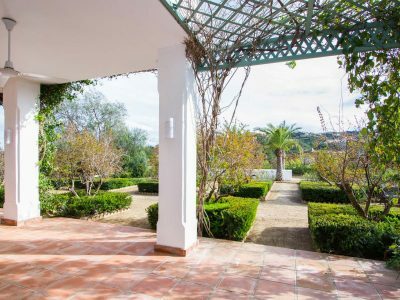 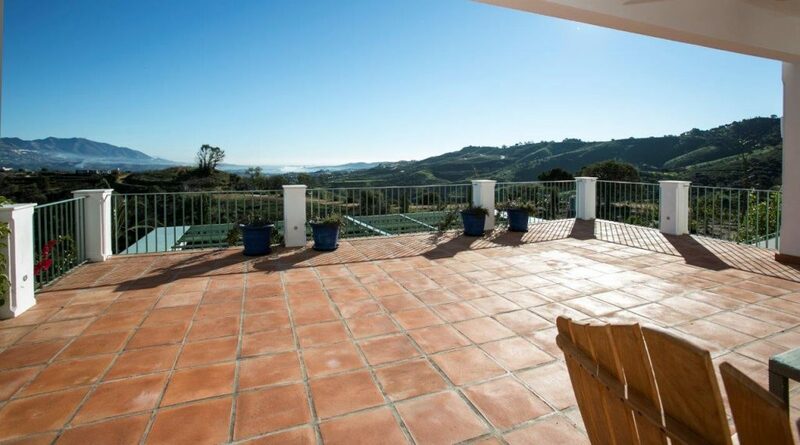 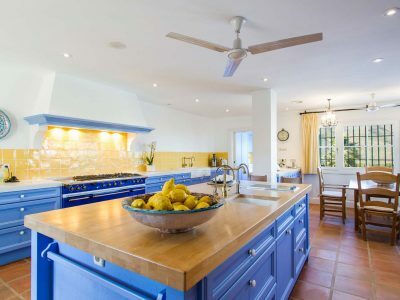 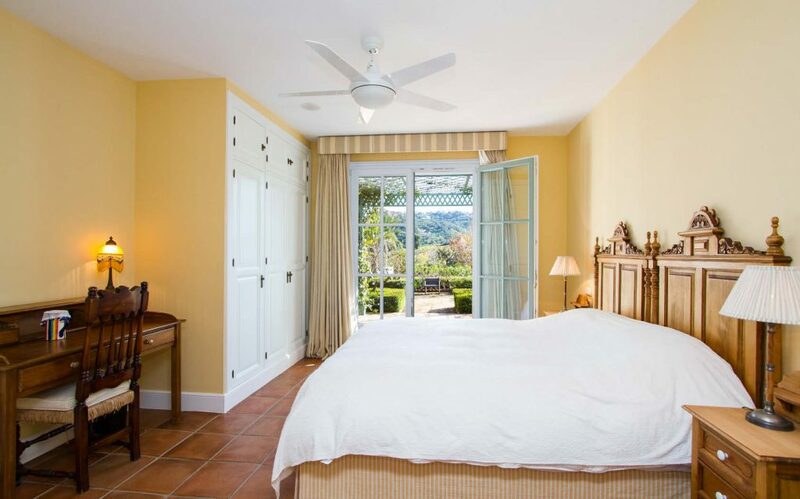 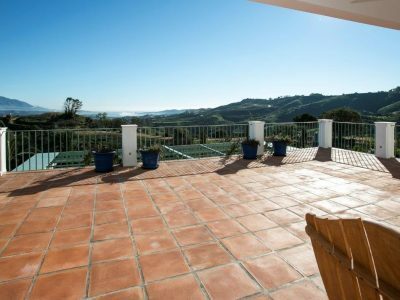 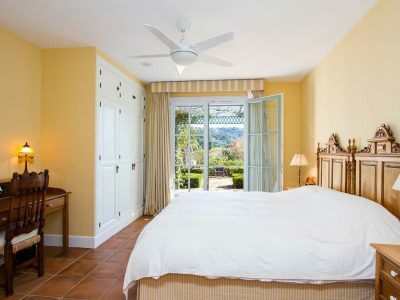 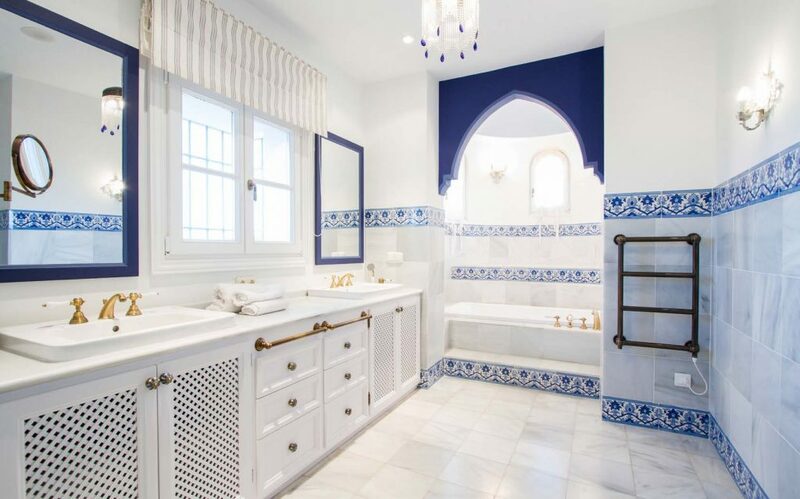 The villa is immaculately furnished and decorated with hand painted Andalucian tiles throughout. 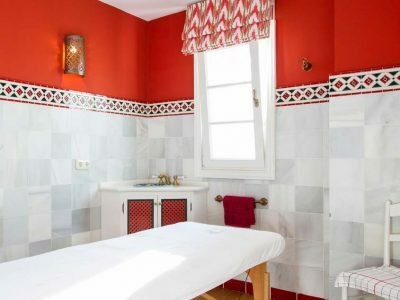 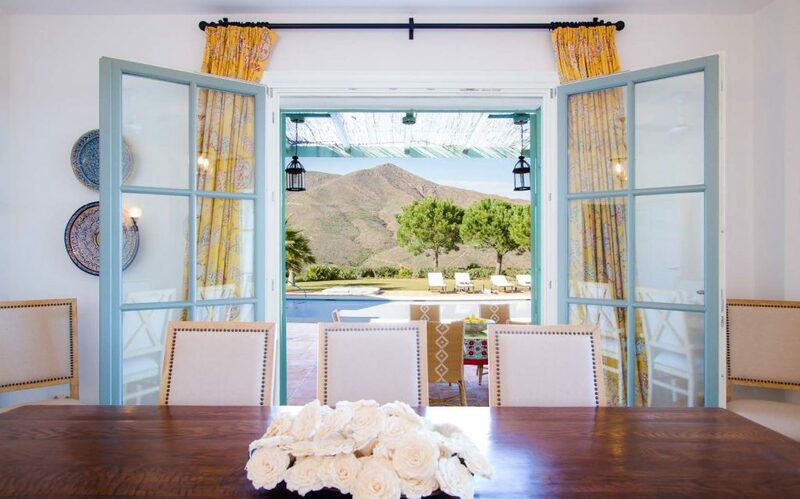 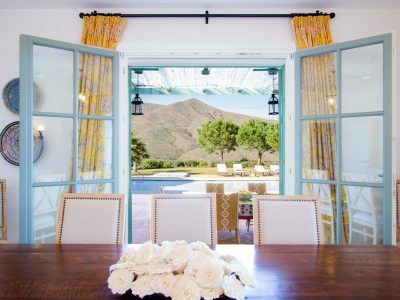 It is rare for a rental property to offer such attention to detail. 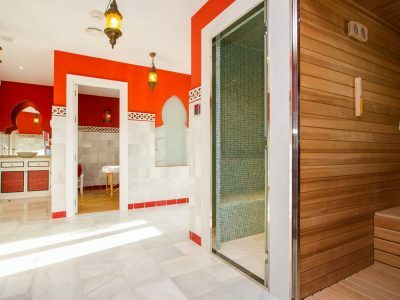 Built to the highest standards throughout, the property boasts geothermal energy, cooling pipe system in ceilings, a/c hot and cold and its own water well. 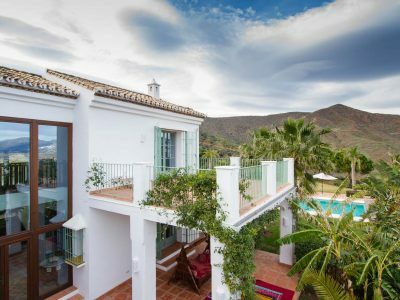 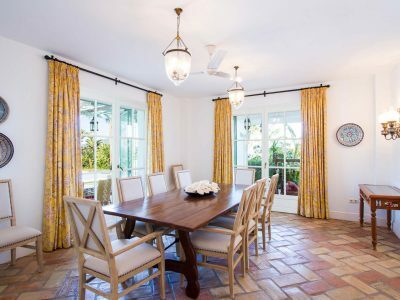 The main property is beautifully spread out over two levels, with spacious rooms, a lovely large Miele and Liebher kitchen with breakfast area, water purifying system and adjoining laundry area. 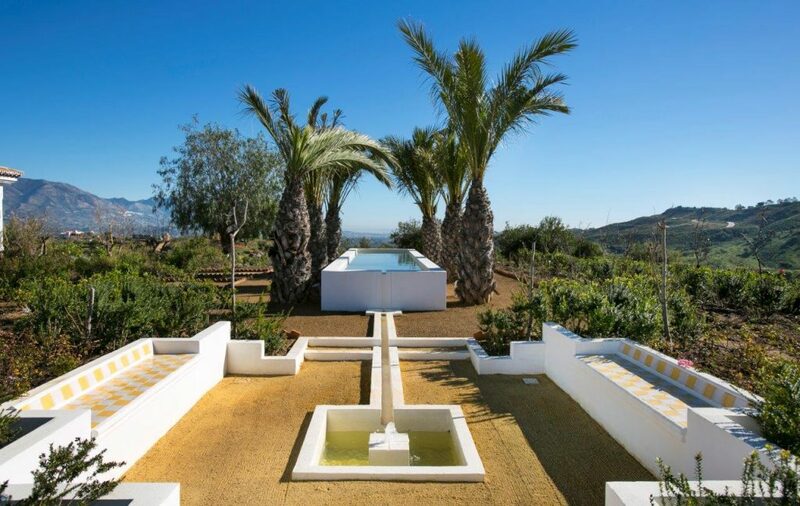 There is underfloor heating via geothermal energy throughout, and additional electric underfloor heating in bathrooms. 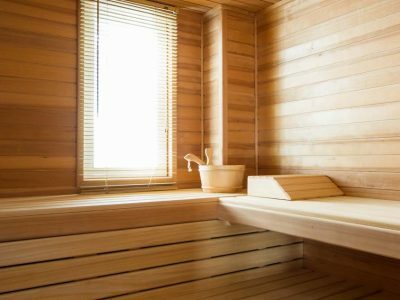 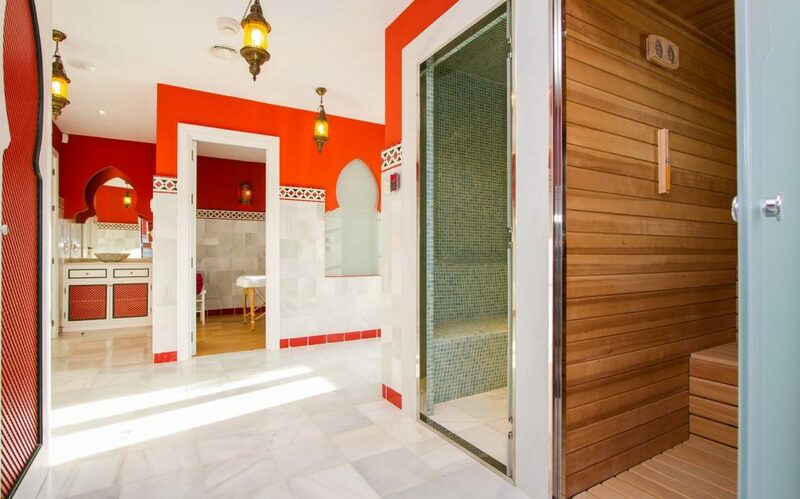 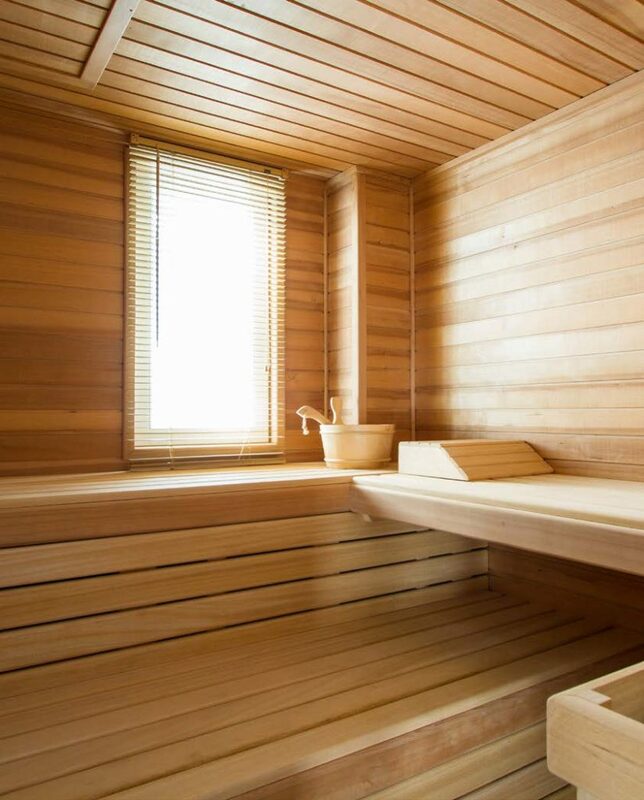 A sauna, Turkish bath, massage rooms and jet showers provide the ideal amenities for absolute relaxation. 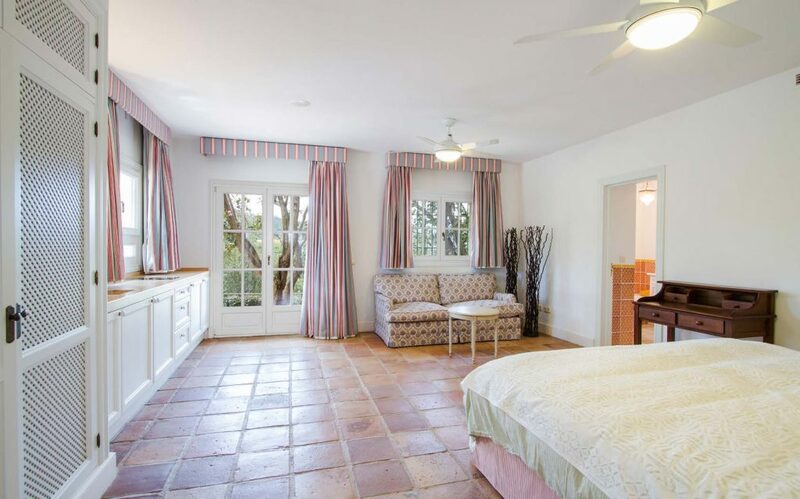 All the bedrooms are individually designed with terracotta floors and hand painted wall tiles. 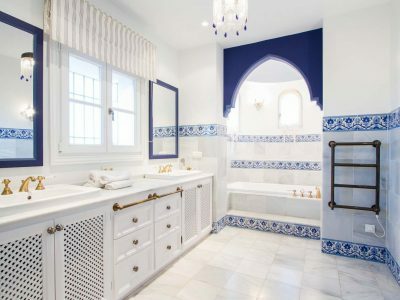 The en-suite bathrooms boast similar design and attention to detail. 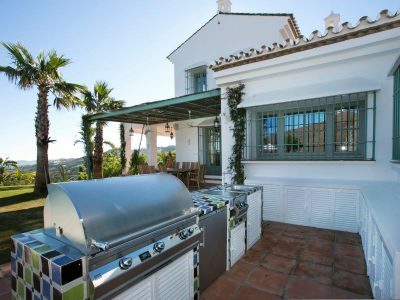 Externally, the property benefits from several shaded areas affording wonderful spaces for relaxation.The 16 x 7m heated swimming pool area is also great for outdoor entertainment, with a beautiful built-in gas and charcoal BBQ area, an adjoining Jacuzzi to the swimming pool from which one can enjoy open views of the rolling hills down to the sea. 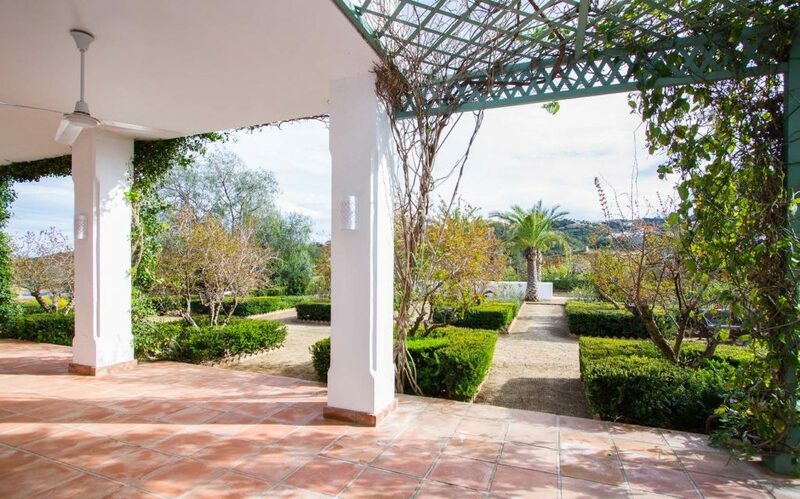 The gardens are complemented by many fruit and citrus trees. 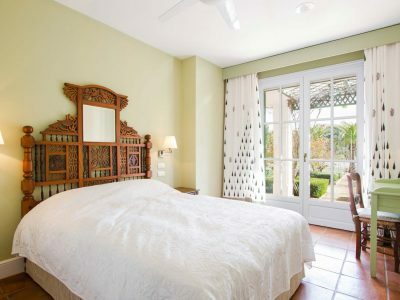 Villa Flandes is a very special and unique property. 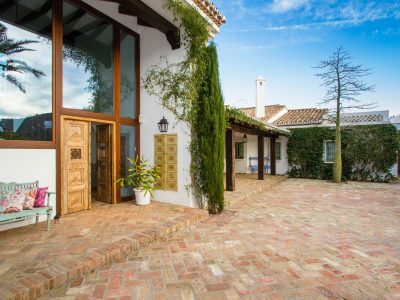 It is ideal for those looking for the privacy, peace and tranquility to be found in country living, and yet retaining easy access to the many nearby amenities on offer.